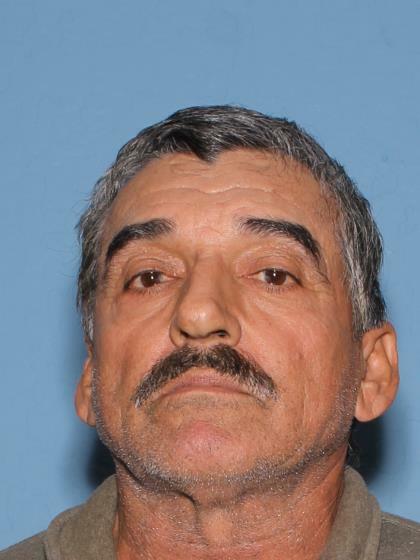 Lucio Gutierrez Salazar was last seen in the area of Broadway & Gilbert Rd. in Mesa on 1/18/2016 at 0430 hours. He was seen leaving his residence to go to work in the area of West Mesa driving a white 93 Nissan Sentra AZ Lic./AKY9853. He did not show up for work on 1/18 or 1/19/2016 which is unusual as he has been at his job for over 5 years. Lucio has recently been diagnosed with Alzheimer's. He was last seen wearing an orange shirt and blue jeans. Anyone having information regarding this case is asked to contact Mesa Police Department at 480-644-2014 or Investigator L. Colon at 480-644-2014. A Silver Alert is being activated.